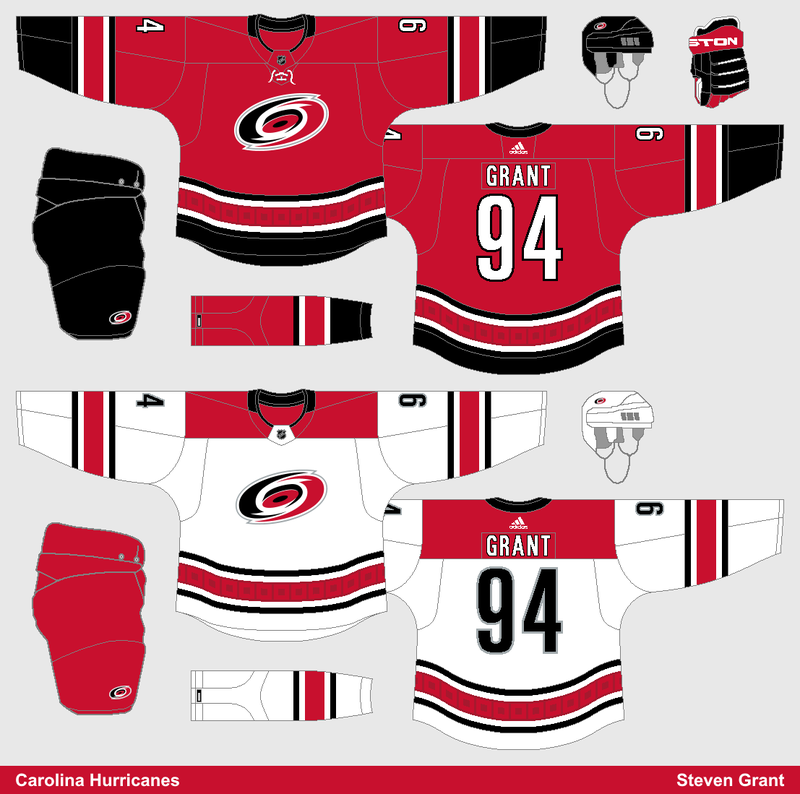 I've always been a fan of the Hurricanes red equipment, it makes them more unique among red and black teams. But I also think their new home jersey would look better with black equipment, so that's what I used (at least for the red jersey, the white jersey keeps the red pants). Additionally, I made the widths of the stripes consistent between the two jerseys, and added the sublimated hurricane-flag-pattern to the road jersey's hem.